Former Swedish coastal steamer. The ship was captured at sea with engines stopped and a heavy list. The destroyers Haydon and Charity (556), minesweeper Octavia (265) and the frigate St. 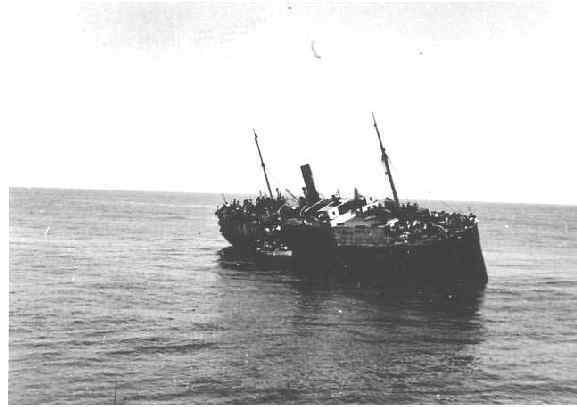 Brides Bay took the passengers off at sea, including many former partisans, before the ship was towed into Haifa by tug. 1023 men, 513 women, 41 children. Passengers resisted deportation to Cyprus. Name means “Patria” referring to the French ship sunk by the Haganah at Haifa in 1940 (see No. 60, List 1).